Looking forward to tonight’s launch from Cape Canaveral Air Force Station where a SpaceX Falcon 9 rocket will loft three payloads into space. The largest will be PSN-VI, a geostationary communications satellite named Nusantara Satu for the country of Indonesia. The second payload and the one garnering the most attention is an Israeli-built lunar lander called Beresheet that will attempt a soft landing on the Moon. The third and smallest payload is a small demonstration spacecraft for the U.S. military that will be used to survey and track satellites and space junk in orbit. 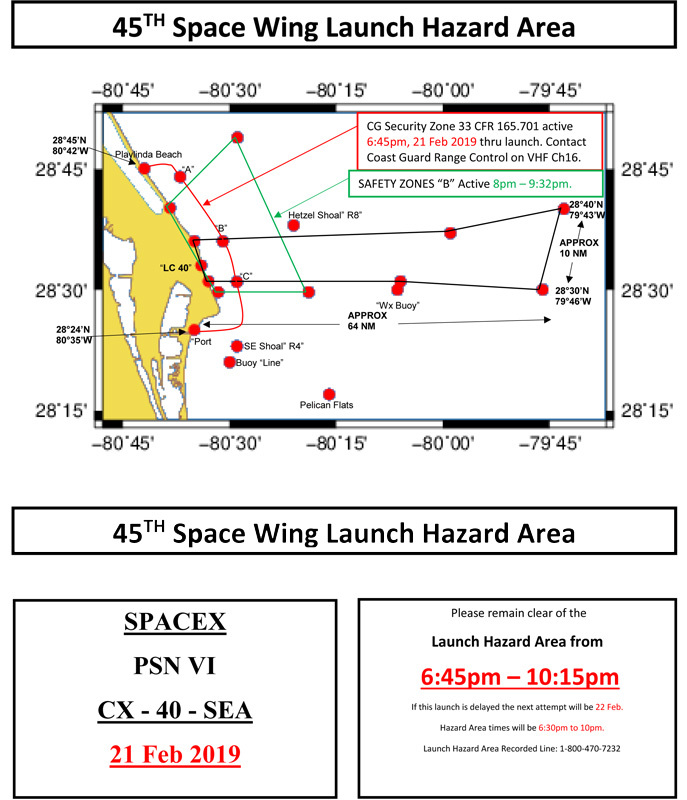 If all goes as planned then the Falcon 9 rocket should liftoff at 8:45 p.m. EST on Thursday, 21 February 2019 at the start of a 32-minute launch window. ← Invasive Species Awareness Week: Insects?